The holiday season is in full bloom and it is the ideal time to start planning for the decoration of your home and outdoor space. 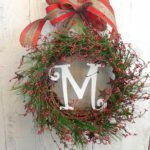 If you are looking for a decorative piece except trees and ivy to spruce up your home for the holidays, a paper bag wreath can be the perfect option. 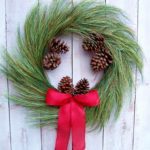 Try this wreath that is good for the environment too! 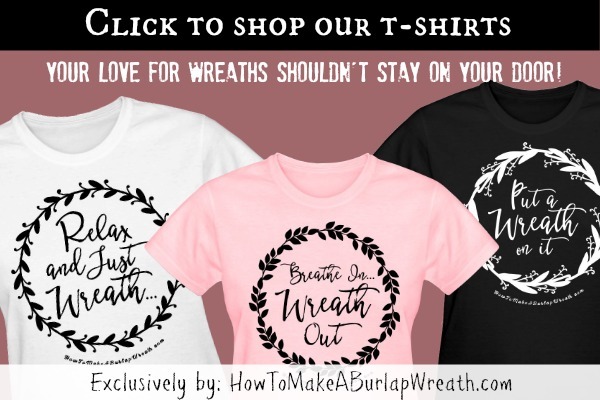 Decorate the wreath a bit if you want to use it for Christmas! 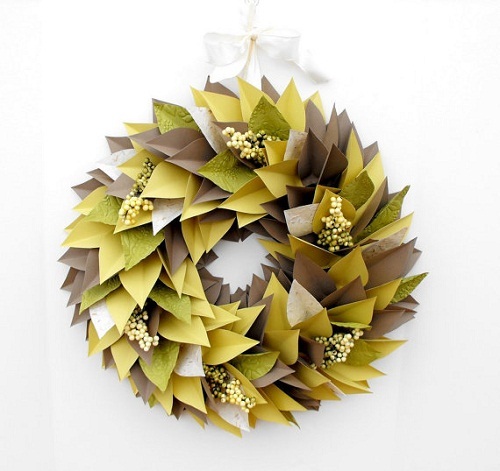 Make a flat form for the wreath with the cardboard box. Trace the big dinner plate on the box to make a circle and cut that shape out. Now, trace the smaller plate in the middle of that flat form and cut out. 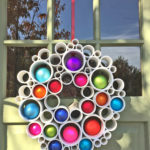 You can also use a store-bought form but make it from cardboard as you are recycling. Draw a leaf shape on the piece of paper, which could be about 3, 4, or 5 inches long. Trace the shape on a grocery bag as many times as possible because you have to make a bunch of leaves. Cut the leaves with scissors and fold each one in half lengthwise to make a strong crease. Unfold all of them. 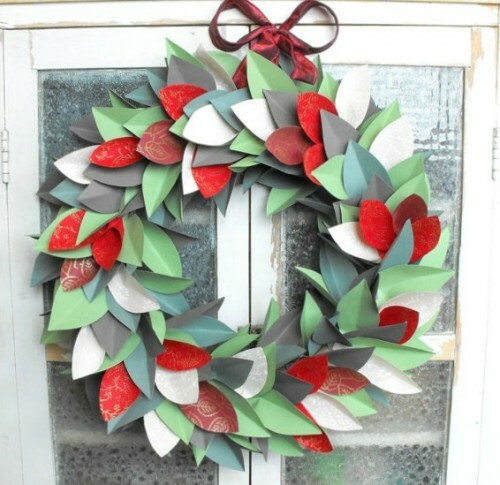 Use glue to stick the leaves to the wreath form, covering it entirely. 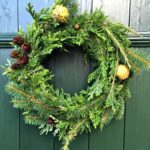 The leaves should follow the curve of the wreath form and their tips should extend slightly past the edge of the form. Remember to place the round end of one leaf below the previously glued leaf. 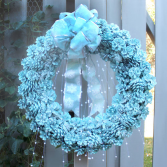 Glue the bottle cap or attach a bent paperclip to the wreath’s backside. It will work as the hanger. Now, give the wreath a light coat of spray paint on the both sides. Use several coats of paint of different colors. 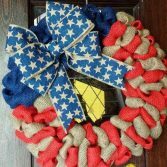 It will give the wreath a festive look. If you want to use this paper bag wreath for the Christmas, attach some branches, artificial red cranberries, and add a red ribbon. 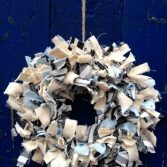 Making this upcycled holiday paper bag wreath is a great activity either for an adult holiday party or for a craft project with kids. 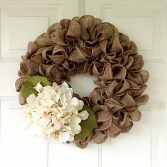 It is very easy and fun to make this wreath but the effect it brings on your home interior is beautiful and very aesthetic. For more creative wreath ideas try these felt & yarn wreath tutorials. « Christmas Cooking Gift Ideas – Week 3 #Giveaway!